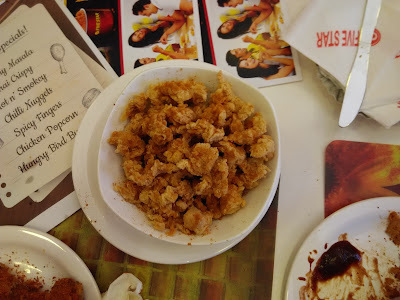 I went to Five Star Chicken Outlet at Besant Nagar near the Royal Enfield Showroom for a blogger meet. It was a great experience and food treat. We also good lot of insights about the Food industry from the FiveStar Chicken Team. This blog's title is a quote I saw on their interiors. 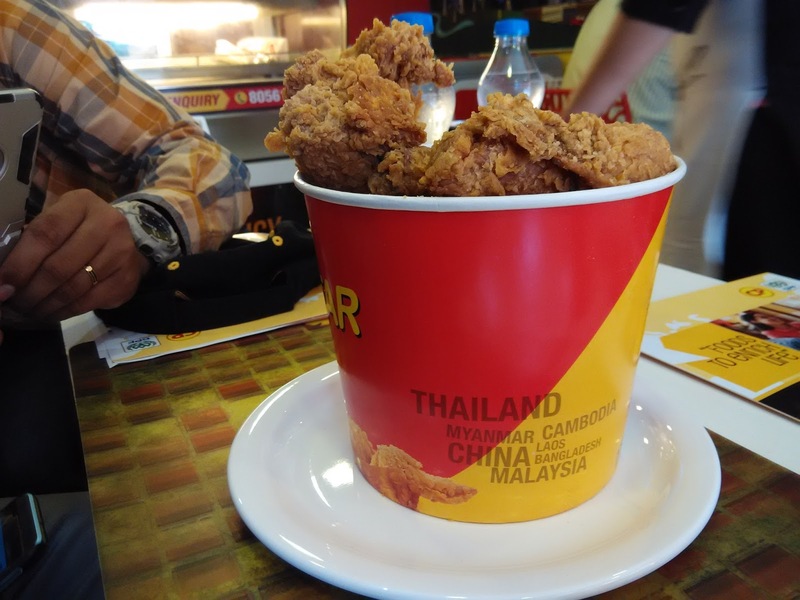 Who says Modern Chicken Fast Food should always taste American? FiveStar Chicken reinvents the modern fast food in Asian terms. They started with Thai Style as their group CP Foods is based in Thailand. 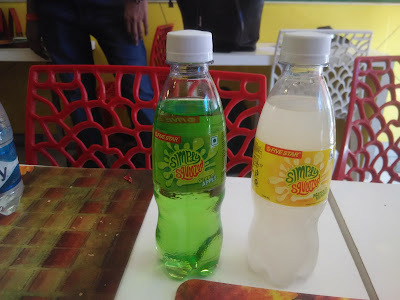 Today they are one of the most popular brands with presence of 7000 outlets in 9 Asian countries including Thailand, Myanmar, Cambodia, Vietnam, Laos, Malaysia, China, Bangladesh and now India. Their USP is Fresh Chicken straight from farm to table everyday instead of Frozen Chicken like other US brands. 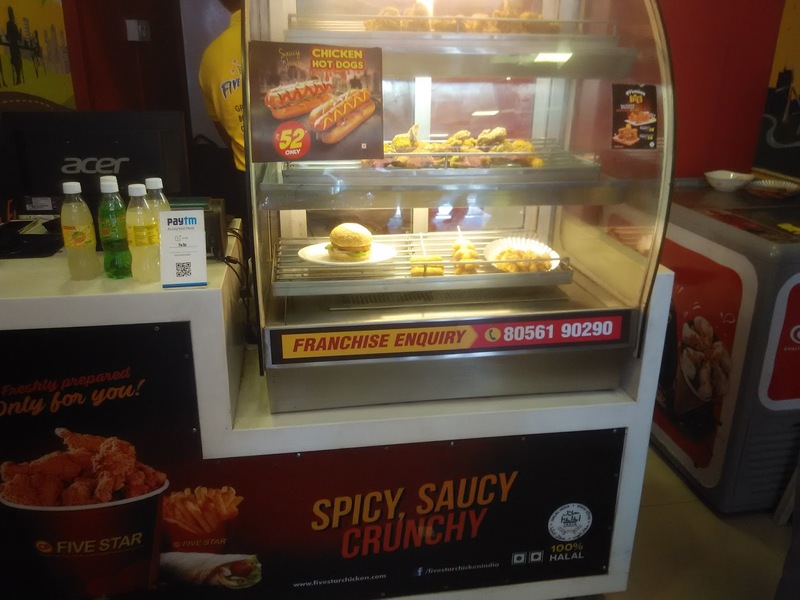 Five Star Chicken has strategically located their farm in Chittoor which is central to Karnataka, Tamilnadu and Chennai so that they can deliver fresh chicken everyday morning to all their outlets in South India. They also create most products with Asian and local flavors based on local spices and Indian garam masalas. They have also introduced hotdogs and Premium Mexican sausages for the first time from a Major Brand in India. 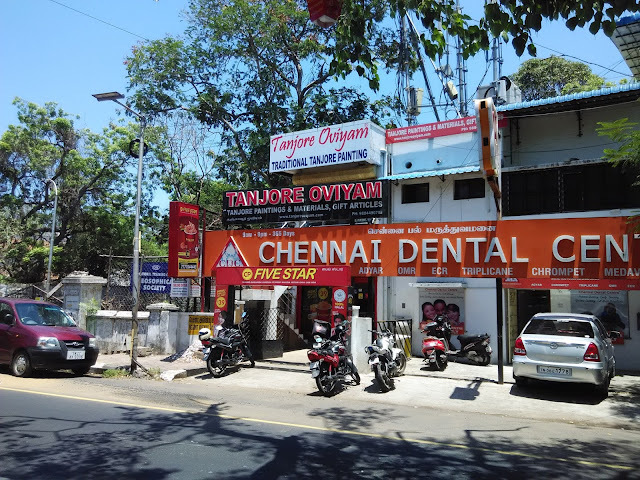 They have positioned themselves as a neighborhood brand catering to Indian Upper Middle Class and Middle Class and provide 25% more value than competition. Since 2012, they have about 200+ outlets oveall. Since their outlets have no-frills approach, their prices are also 25-30% less than US brands. FiveStar Chicken team assure that their chicken is raised in their own farms instead of outsourcing from others. Their farm is environmentally controlled with AC, Hatchery-Breeders have right ambiance and the feed provided is also produced by their own group. The chicken is not given any antibiotics other then than mandatory vaccinations which are stipulated by the industry standards. Since they are targeting Asian markets, the menu and standards are suited to local cultures. They have a R&D team which creates their new products. The team says their products are launched in the market only if they pass a "Blind Test" where a user should be able to distinguish their product even when eating blindfolded. Crunchy Masala is made out of authentic Indian flavors and Masalas to suit the local palates of Indians. Thai crispy has the secret recipe from Thailand with Lemon grass and Kaffir lime flavours in it. 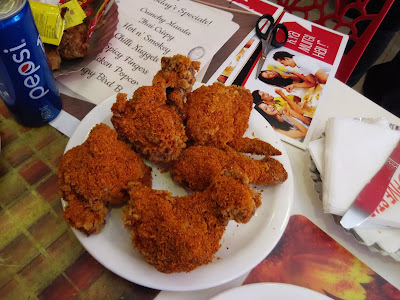 Succulent Smokey falvoured fried chicken served with hot and spicy sprinkler. The crunchy bite sized, crown - shaped, Chicken nuggets are made with juicy chicken and is mildly seasoned making it a great appetizer . Spicy fingers is the delicious treat of fresh , tender & Juicy chicken mixed with perfect blend of spices . Five Star Chicken is all set to tantalize your taste buds with its new Hungry Bird Burger. Made from whole succulent chicken breasts and spiced up by dollops of Five Star Chicken's secret sauce. The scrumptious chicken fillet is served in toasted sesame bun slices and topped with fresh mixed veggies. 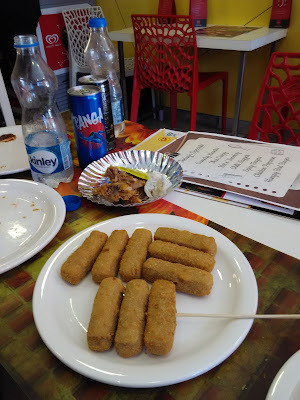 The food varies widely in spiciness as they want to cater to wide range of customers. 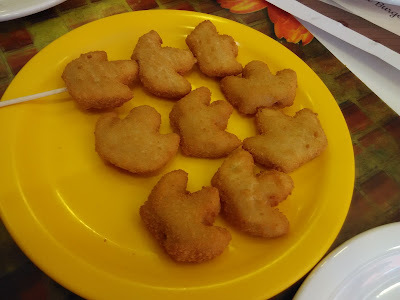 Their menu is also affordable and starts from Rs.39 for the 3 piece nuggets. 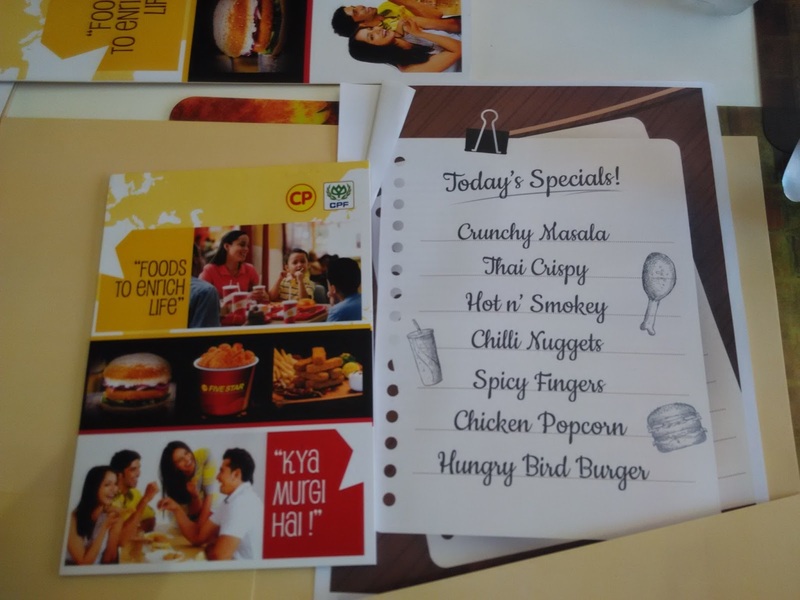 The Spicy Fingers and Chicken Popcorn is targeted mainly at children. 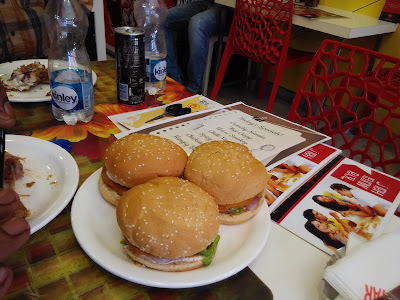 The Hungry Bird Burger has the right spiciness quotient that appeals to the South Indian Palette. Hot n' Smokey is really VERY HOT for those would want to spice up their chicken really high. Fivestar Chicken outlets are also offering parties (birthdays and get-togethers) either at the outlet or at home itself. They are arranging a birthday party with a cake and food for about 10 people at the cost of Rs.1500 only. 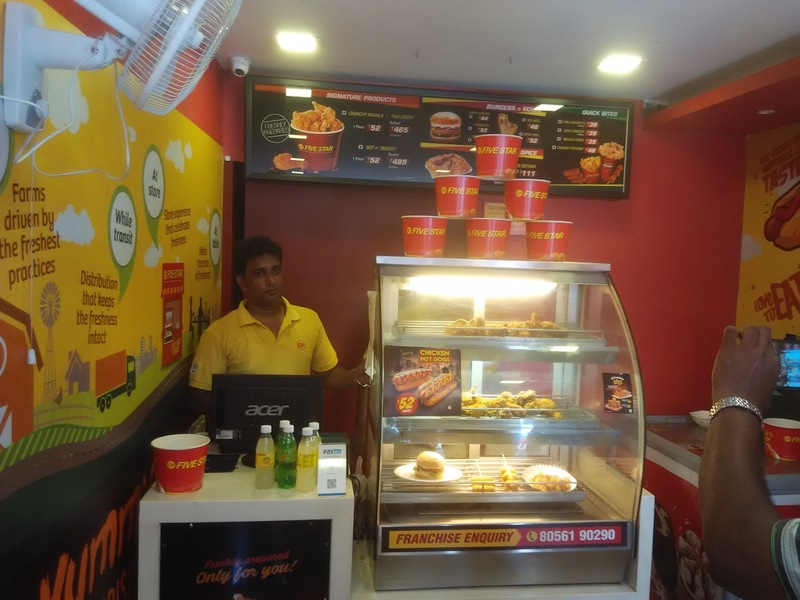 FiveStar Chicken wants to grow rapidly by involving Upper-Middle and Middle Class people as their franchisees. They are offering a outlet model called, "Grab and Go" model with 6-8 Lakh investment. They say their franchisees are able to breakeven within 2 to 2.5 year period if they are personally involved. They say their franchisees are ideally suited for IT guys, retired army staff and even youngsters who want a stable income business fetching about 35,00 to 40,000 rupees per month. 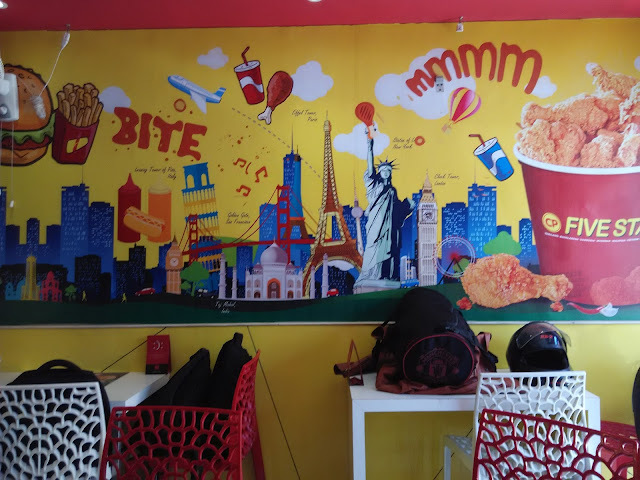 FiveStar Chicken team says that even though people claim they are health conscious, the products which are spicy and tasty outsell those products which are developed for the health-conscious folks. Maybe their quote "The Secret of Happiness is Taste " is common knowledge and is not a secret at all! !